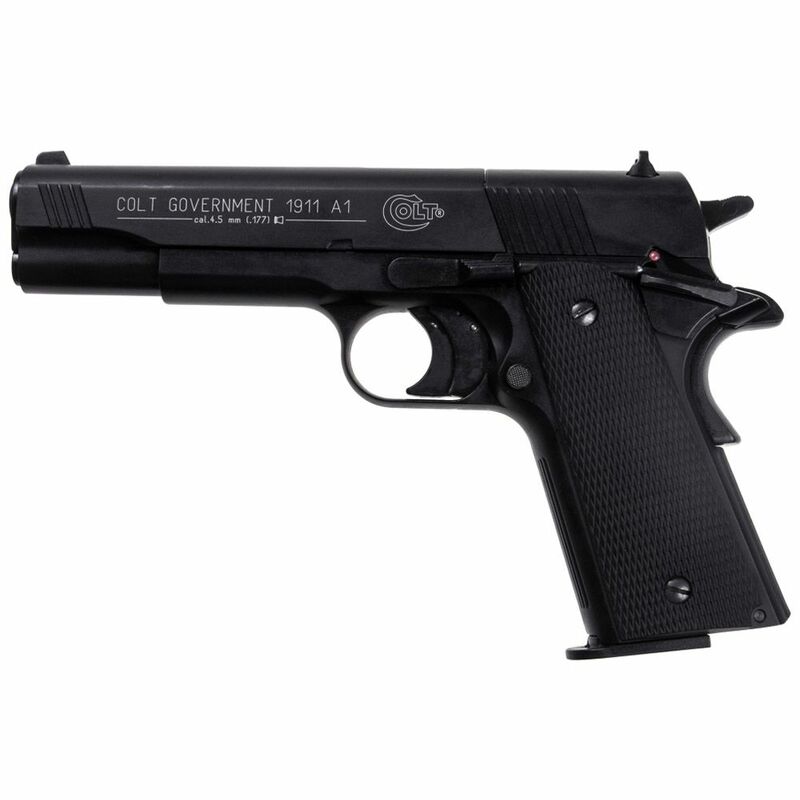 Umarex has taken the classic Colt Government 1911 A1 model and created a pellet air pistol replica. This CO2-powered pistol can hold 8 rounds in a rotary magazine and shoots at a powerful velocity over 425 FPS. It features a full metal construction with plastic grips, coming in at a weight of 2.5 pounds to feel just like the real gun. The Colt 1911 is a timeless military pistol design and this Umarex replica succeeds in incorporating the model’s classic features in a pellet air pistol.